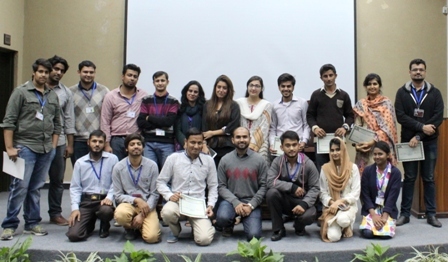 Undergraduate Mathematics Society organized Infinity 101 on Wednesday 25 November 2015. It was a general math contest based on four rounds. Nineteen teams participated in the contest. 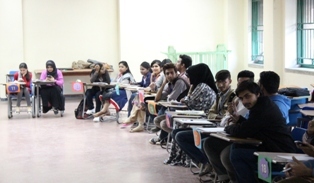 The students actively participated in all of the rounds. Infinity 101 aimed to remove the fear of mathematics from students’ minds, enhance their abilities in quantitative skills and give them basic knowledge of the use of mathematics in daily life. It also helped them realize the importance of time-management and group work. 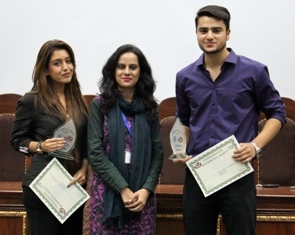 At the end, Assistant Professor and Advsior UMS, Dr Nazish Shahid, distributed certificates among the participants and the winners Daud Khan and Zulekha Bajwa were awarded with the shields.